Mini tripod legs, Shooting Grip is not only very helpful to capture moment of photography, but also hold the camera and projector steady. 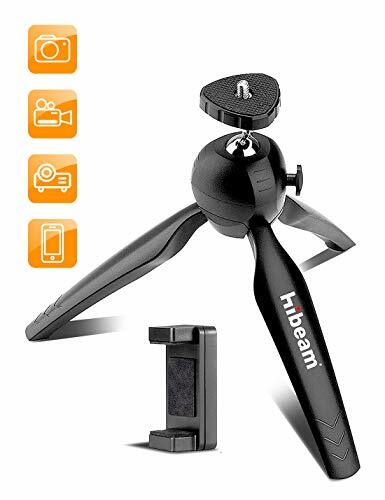 The 0.25-inch thread attachment and push-button locking mechanism make this tripod easy to set up and clamp in your smartphone . It is very comfortable while folding the legs and can capture every angle for HD Video camera filming. Suitable for a variety of places and applicable to most brand of cameras and mobile phone, portable projector ,Mini Microphone. Especially for Hibeam DLP projector H6/ H6S/ H6P.